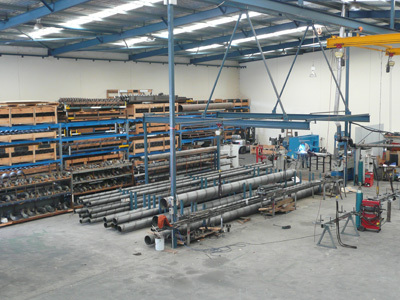 AUGER SUPPLIES WA is a family owned and operated business based in readily accessible Canning Vale in Perth, just off Nicholson Road and close to the Roe Highway. Prior to January 2009 you may have traded with us under the name “Barrel & Flighting Supplies”. We offer both wholesale and retail sales service. 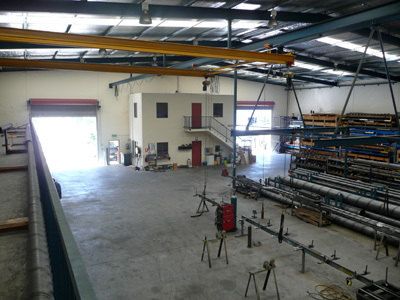 Our purpose built premises provide for excellent truck access and a semi trailer can back into our factory readily. 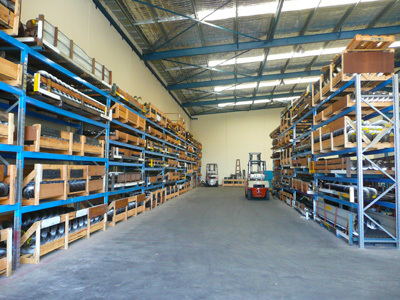 Gantry and fork loading facilities are available. We will arrange for courier operators to pick up on a customer’s behalf. The customer needs to have an active account with the courier or arrange prepayment. Gone are the days when the country couriers will transport good for unknown customers. We provide a delivery service to local freight yards and normally do a run once a week subject to demand. A nominal fee of $30 plus GST is charged regardless of what we transport provided the transport yard is within our normal delivery area. Legally we can carry 7.5M tubes on our carry frame but there is an associated weight limitation of 190kg. 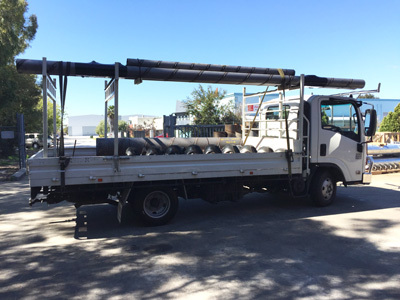 Most country transport truck operators (semi types) expect us to deliver to their yard when we can, rather than have them pick up from our factory. Some freight yards will provide a pick-up service for these operators. Where transport is involved the customer is responsible for insurance of purchases. Once a courier picks up from us, or we deliver to a freight yard, we have no further responsibility for your goods. Some free advice – Auger barrels dent readily, particularly if dropped by forklift operators. They can have a high ‘mortality’ rate at freight yards. Some yards tend to be worse than others! 30 day EOM credit accounts are available for frequent use customers who settle accounts within the agreed period. If you fall within this category please contact us for a credit application form. If you do not have a credit account with us then all goods must be paid for before they leave our factory.